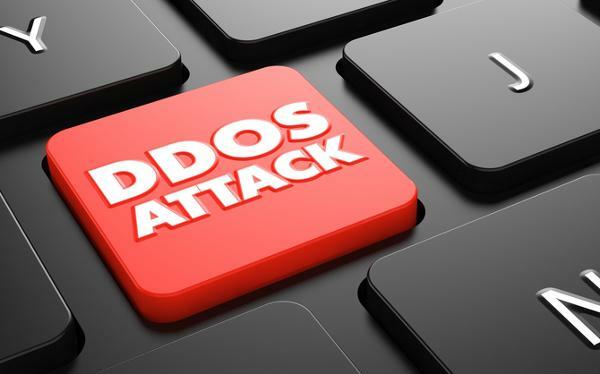 Distributed Denial of Service (DDoS) attacks are still the tool of choice for cybercriminals targeting Australian organisations despite the recent influx of ransomware. The study from NTT Group found that 22 per cent of all attacks targeting Australia were related to denial of service. This was only topped by service specific attacks at 23 per cent and was above website application attacks at 20 per cent. Locally, three industries were targeted in 81 per cent of all attacks, finance at 34 per cent, retail at 27 per cent and followed by business and professional services at 20 per cent. The study found that more than 93 per cent of malware detected in the country was some form of Trojan. Ransomware falls into the Trojan family and is the most prevalent form of malware attack in Australia. The country is also experiencing a change in attacks on applications according to the report with over 70 per cent of application attacks against local companies attempting remote code execution. The study analysed data collected from NTT Group's operating companies, including NTT Security, Dimension Data, NTT Communications and NTT Data, and data from the Global Threat Intelligence Center (formerly known as SERT), between 1 October 2015 and 31 September 2016. The combined entities have a view of more than 40 per cent of global internet traffic. The report backed up findings from similar studies which showed ransomware is now the most prevalent form of cybercrime. Further, the study found that 77 per cent of ransomware analysed was targeting one of four market sectors. These Included: business and professional services (28 per cent); government (19 per cent), health care (15 per cent) and retail (15 per cent). The report also found that despite attention being paid to attacks on newer vulnerabilities, many cyber criminals rely on less technical means to achieve their objectives. The phishing email is still by far the dominant method for malware delivery, responsible for 73 per cent of all malware delivered to organisations, with government (65 per cent) and business and professional services (25 per cent) as the industry sectors most likely to be attacked at a global level. In terms of phishing attacks by country, the US leads the pack at 41 per cent, closely followed by The Netherlands with 38 per cent. France was in third place well behind the top two with 5 per cent. For industry specific attacks, finance was the most commonly attacked industry globally, subject to 14 per cent of all attacks. The finance sector was the only sector to appear in the top three across all geographic regions analysed, while manufacturing appeared in the top three in five of the six regions. Government (14 per cent) and manufacturing (13 per cent ) were the next two most commonly attacked industry sectors. "Our end goal is not to create fear, uncertainty and doubt or to over-complicate the current state of the threat landscape, but to make cybersecurity interesting and inclusive for anyone facing the challenges of security attacks, not just security professionals,” NTT Security Vice President Threat Intelligence & Incident Response, Steven Bullitt, said. “We want to ensure everyone is educated about these issues and understands that they have a personal responsibility when it comes to the protection of their organisation, and that the organisation has an obligation to help them do so," he said.